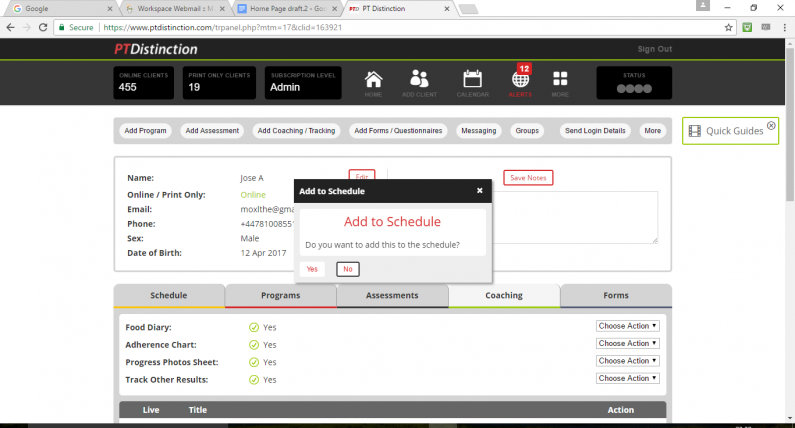 A lot of personal trainers and online personal trainers enjoy using Google sheets and other spreadsheets. 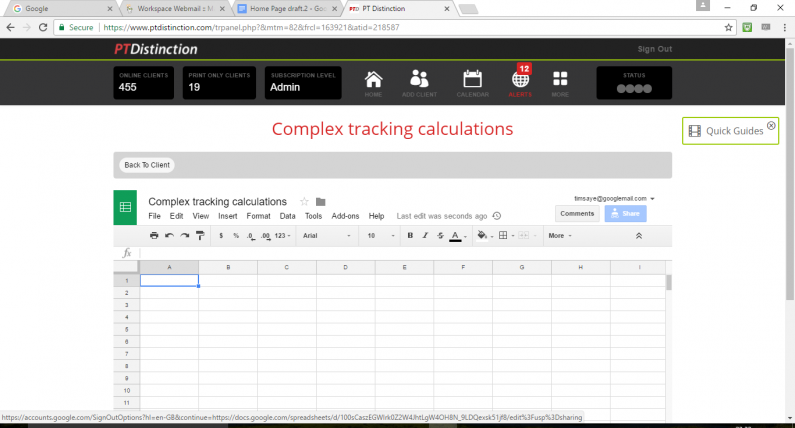 Google sheets allows you to set up any number of calculations or algorithms to add extra tracking or predictions. While PT Distinction currently does pretty much everything you could ever want or need as an online personal trainer, we always aim to give you the flexibility to do exactly what you feel is best for your clients. For this reason we have integrated Google Sheets in to PT Distinction. If you're a spread sheet aficionado or you just have a few specific calculations you want in your clients tracking you will love this little added extra to PT Distinction. 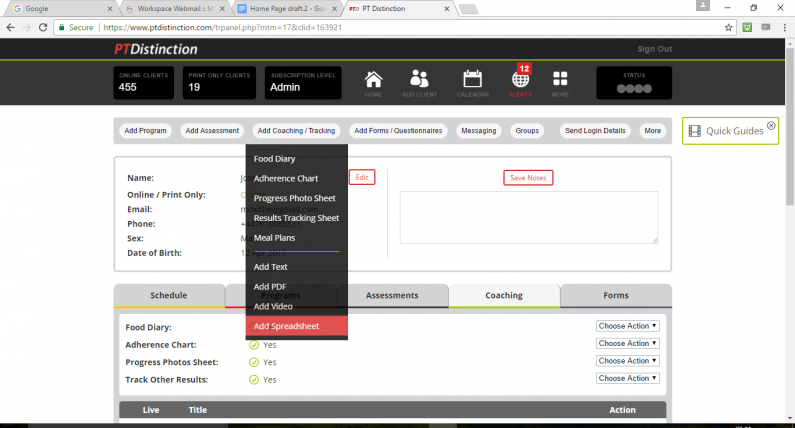 Then click on add coaching/ tracking and select Spreadsheets. 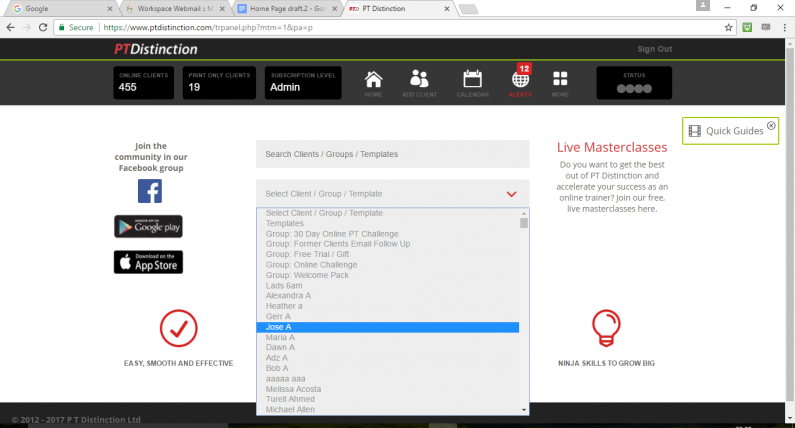 Your clients then see it inside your app, website integration or when logging in via your PT Distinction mini-site.